Come join us at St Peter’s Church as we re-imagine Shipley! Free Bike Servicing and Repairs from Margaret Carey’s Doctor Bike. 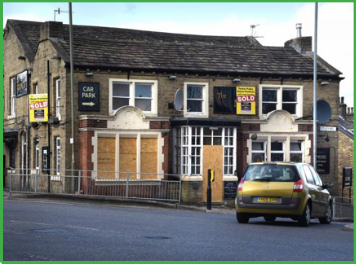 Draw the future – visualise and imagine what Shipley could become! Share your ideas about how we can make Shipley a better place for walking and cycling. Would you like to walk or ride a bike around Shipley but don’t know where to start? Are you put off by traffic or is there some other obstacle? It’s known as active travel – that is, getting out of your car and still getting about! It has many health and environmental benefits, but did you know it can make your community a better place as well? Hop aboard and help clean up our streets and playing field! 4.00pm Clifton Place and Bargrange Av. What to bring: Decent shoes/boots, we’ll provide gloves, bags and litter picking tools. Any brushes or things you think might be useful to bring are welcome. If you need more info contact Dave on 07743471764 or danger.robison@gmail.com. Live in Shipley and commute to Bradford? Why not join the Shipley Bike Bus on Mondays? If you’d feel safer cycling into work in a supportive group with more experienced riders, this could be just the thing you need. Needing somewhere to store your bike on arrival? Not sure of the most pleasant route? The return journey sets off from Bradford at 5:30. See Full Timetable and details at www.capitalofcycling.org/bike-bus. If you’d like any more information about the bike bus, you can contact Dave@capitalofcycling,org / mob: 07743471764. A fantastic afternoon of fun for all the family with a range of stalls and activities in Northcliffe Park. Northcliffe Miniature Railway will be running with train rides with small kids (and considerably bigger ones), Pony rides will be available, Children’s Activities, Face Painting and much more! Another great event with Northcliffe miniature railway and much more. Check out the website http://www.friendsofnorthcliffe.org.uk for more information about FoN events. You may have noticed that The Branch pub has been purchased. The plan is to demolish the pub, to widen the road. Community members and Friends of the Earth Baildon have been involved in measuring air quality at this junction and it is well over the legal limit for NoX particles which are extremely harmful to human health (especially young lungs such as the kids walking to Shipley C of E). The standing traffic on the main roads by our streets is a problem but academic research shows that widening the roads and junctions usually makes problems worse and could make it harder for residents and the kids who do walk to school. You can leave comments on the Council website. If you have thoughts about this or want to discuss what’s going on – get in touch, comment on our Facebook group or attend our event on the 28th of April at St Peter’s Church where more detailed information will be available.